Well as I haven t been here for a while. Just wanted to see If you still a regular here. Hey thefly131. How have you been? I hope you are doing well. Every now and then I see a legendary mobster RoninHarper lurking around the forum. He does not post comments as often as before... I think he won a prize from MobSafe recently. Boom! yeah he was here few days or weeks ago!I know that he write several posts and it was not too long from today!so probably he will see this thread and will anwer to you!at least he is here,instead of pinotte who is not here for so long time! I think this user of The BankrollMob pinotte he will not post as he did before. Has a very beautiful age and i think he wants to spend more time with his family or has health problems. He knows this better and we hope it's healthy. It's good if there's another user to substitute for help the BRM users if pinotte does not post. He was here not too long ago. So i believe he is doing good. yeah the good news is that dude is more or less still here, maybe not so active as previously but he is still logging into his account and spending some quality time with fellow degens on bankrollmob. wish you great health ronin dude, and all the best in your life in general. Nice to see all these regular names here on the forum. Hope you re all doing well at the tables and otherwise keep in mind that there are more important things in life. my poker career came to an end I guess: for some reason poker started boring me some time ago and so I stopped it. Sometimes I receive offers from pokersites I have an accoun on and I play some habds/tourney to take advantage of them but they are just some short random sessions that cannot be defined poker career . Everything else in life is ok and this is what really matters as you told. Do you still play poker? Are you still able to keep two cards in your hands? I read some people complaining about them but my overall experience there is positive. They have always honuored my withdrawal requests ( nothing big btw usually between $ 100 and $ 200) just read CAREFULLY their promo Term and Conditions. Sometimes I missed them and when asked for a withrawal without fullfilling them they pointed me to the part Iwas missing and once I fullfilled the required commitments they paid me out. Only down side is they were ( maybe still are but I'm not playing there anymore lately) a bit slow with payments: thay takes like 3/5 days at least ( but they sate it in their T. & C. ). I completed three or four of their "no wager free spins " offers and found them really advantageous. - you are credited with a number of free spins depending on the amount of your deposit; every offer has its own amount of spins that is advertised usually in their promo mail you receive from them. - your deposit amount is subjected to some wagering requirements as per their site general Term and Conditions ( and guess they are the same for all poker site. Don't think gambling site allows you to deposit and just withdraw due to antilaundering measures). You can't just deposit => play the free spins => win => withdraw your depo + winnings. If you are a breakeven player this is surely a ethod to earn some money. 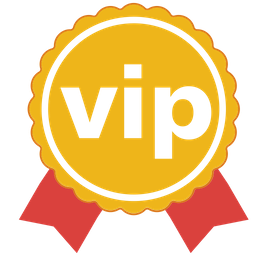 Also consider there are tournaments whose buyin is in VIP Points so you are also able to join them basically for free and win some if you are good at them. There were also daily/weekly leaderboard on PokerMira where you might win something as well. So ...in the end....all depends on how good you are at poker: if you lose at the tables more than you win at the free spin then it is not worth the time otherwise is a win-win situation , expecially if you enjoy playing poker ( that I dont anymore for quite some time now so I quitted this profitable routine). Ronin Harper. The CandyMan, if I am correct. I believe he won on the safe a couple of time said in the last month or so and posted about his very fortunate good luck at the time. Haven't seen him muc though, but am sure he is doing as well as he can and keeps popping along here when he gets the chance, best wishes Ronin.